Germany – Leader of the (Euro) World? | Words, By George! Germany – Leader of the (Euro) World? Italy is again stating that Germany must accept shared leadership of the European Union if the region is to prosper, former European Commission President Romano Prodi, told CNBC on Friday. The European Central Bank’s announcement on Thursday that it will commence unlimited purchases of short-term sovereign bonds from struggling Eurozone countries was greeted with open hostility from both the Bundesbank (Germany’s central bank) and the German press. “If Europe wants to survive, it must have a big European infrastructure,” Prodi said, speaking at the Ambrosetti Forum, an annual international conference held on the shores of Lake Como in Italy. 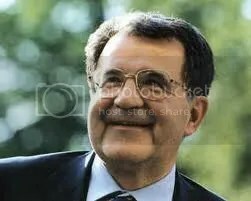 Prodi said that European nations could only compete with the “Asia cluster” if they work together, and added that this applied to Germany too, despite the strength of her manufavturing and service industries. The new reality or not, the Germans and to a lesser degree the French, because of their robust economies, see themselves in strong position to dictate the actions of the other members of the European Union, especially those economies are in crisis. Italy and Greece strongly resent this position that Germany has adopted, reminding Germany that they are still their own sovreign countries. Angela Merkel sees that Germany and Germans in particular are indeed supporting the rest of Europe, and she remains strongly opposed to the action of the ECB. She has repeatedly stated that she has made it as plain as possible that there will be no open-ended collective commitment to pay the debts of individual countries in the Eurozone. She is known as Frau Nein (or Madame Non, in France) because of her stance on this issue. Whatever the outcome, it will take the collective will of all European members to recover the financial stability of the Eurozone.